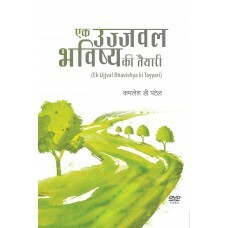 This DVD contains informal conversations of Daaji with youth in Varanasi in the year 2016. He talks about setting up our priortities, utilizing the opportunity given to them. He gives answers on questions based on formation of samskaras, how to maintain the sthithapragya condition through meditation. He advises the youth to live in the present and never forget their goal which is god realization.